Wanderlust was Dan’s primary motivation in the decade following his graduation from high school. Dan took to the road, working jobs that included ranch hand in Arizona, construction on the beach of Florida, refinishing furniture in Louisiana and four years in the infantry, including a two year tour in Germany. Wherever he went, Dan filled sketch books and journals for his own enjoyment. Then in Colorado after a couple of years in college, he realized the thing that meant most to him was his sketch books. So he quit his job and college, sold everything he had and decided that commitment to one path was where all the previous had led him. Now Dan Beck is an award winning artist and sought after teacher. His paintings have found collectors in both the private and corporate world on a national level as well as from such diverse places as Canada, Japan and the Middle East. He is in the permanent collection of the Littleton Historical Museum and has exhibited with the Phippen Museum, Prescott, Arizona. He has been invited to show in several national invitationals including the annual American Miniature Show at Settlers West Galleries, Tucson, Arizona and the annual “Fall Classic” in Hamilton, Montana. Dan’s work has also been featured in “Southwest Art”, “Art of the West” magazines and “Art Talk”. He is a member of Oil Painters of America. 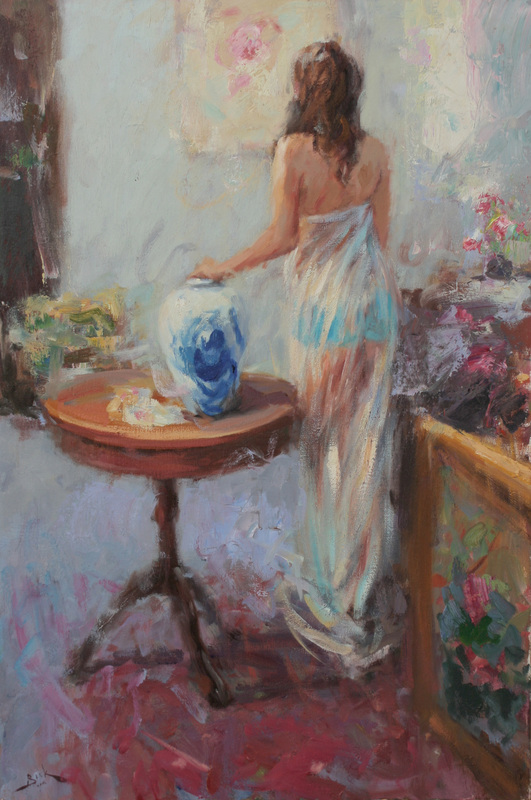 Equally adept at figurative, still-life and landscape, Dan paints both oils and pastels and fees he is firmly rooted in the tradition of Impressionism. His love of nature and a deep respect for the tradition of art serve as both guide and inspiration to his goal of “making a contribution” to the world of painting. Dan’s paintings evoke a timelessness and dignity that are the underlying themes in whatever he paints. As to his working methods, Dan works quickly and loosely in the beginning, covering the whole surface to establish his major shapes and drawing. Then he slows down and lets the emerging image dictate the way the painting will be finished.